Refresher first aid senior first aid, apply first aid; what course do I need to do? Look, all first aid training in Australia has one nationally recognised code number HLTAID003. Some organisations choose to market what they offer differently. We don’t we just call it all a first aid course, which is what it is. You can sign up for a first aid course online here. It doesn’t matter if you have done one before, have an expired or current first aid certificate, it is all the one course, completed in one day. What CPR course do I need to do? As with first aid, many organisations will call their course a refresher course or something like that. All first aid courses in Australia have the one nationally recognised code number HLTAID001 Provide CPR and that is what we do. It takes 3 hours and you can book in online here. Do I need to do CPR course and First Aid course? No, all our first aid courses include a free CPR certificate at no extra cost to you. How often do I need to renew my First Aid Certificates? What Is A USI (Unique Student Identifier) and why do I need one? 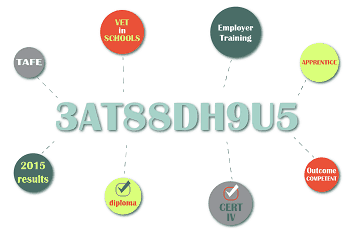 From 1 January 2015 all students that undertake nationally recognised training delivered by a Registered Training Organisation (RTO) will need to provide the training provider with their Unique Student Identifier (USI) number. The USI number gives students access to their online USI account which is made up of ten numbers and letters. It will look something like this: 3AW88YH9U5. What’s so special about International Paramedic College? It is an organisation made up of people and our people are a little different. International Paramedic College is run by second-generation paramedics. The C.E.O. is an experienced Intensive Care Paramedic with more than 30 years’ experience in pre-hospital emergency care and is on the committee of Paramedics Australasia the peak body for paramedics in Australia and New Zealand. We only use trainers with an extensive paramedical background. From our First Aid, CPR and Childcare First Aid courses to our more advanced Paramedic training qualifications are written and designed by Intensive Care Paramedics with educational and academic backgrounds giving them a realism that comes from years in the field of paramedic education, training and design. You can find out more about us here. What is the International thing about? Absolutely, in fact, we pride ourselves not just on delivering compliance but competence, in our training delivery, you can have both. You can have confidence that our courses are genuine, our policies are fair and friendly, and you will be dealing with a reputable organisation. Paramedics are often voted the “most trusted profession” and we bring that ethos to our educational programs and business ethics. I can see that you public first aid courses around Ballina Lismore Byron Bay and Alstonville but what about other locations. Yes, as first aid is not an online course, it’s a course you have to attend. So we run them where we live, on the north coast of NSW or what is called the Northern Rivers region. We have a network of paramedic trainers around Australia and the Asia Pacific who conduct on-site courses for us. Just contact us at International Paramedic College and we will be able to assist you. First Aid Certificates – I need it quickly, how quickly can I get mine? We email certificates out within a couple of days of you successfully completing your training. 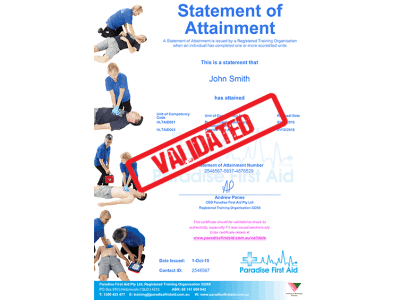 We can issue a letter of completion on the day of your first aid or CPR course and we process certificates the next business day. They have leading edge forms of security built in to ensure that they cannot be fraudulently changed. If you need ever need a copy you can simply log into the student portal on our website and download a copy. This is a free first aid certificate service. I’ve enrolled with other organisation for first aid but they’ve cancelled courses due to low numbers, will you do the same? Do you conduct onsite training for any large organisation? I’ve been to first aid courses before and they were not very good, how are yours different? Yes, our record speaks for itself, but check out what other people like you are saying about our courses on Google or Facebook.. We can’t fake those comments or put a few pictures or logos on our website to look like we are associated with something we are not. I’m joining the NSW Police service and need pocket mask training? Yes, we can do Pocket Mask training as part of our CPR or first aid courses and we will give you a pocket mask free for you to keep when you enrol in one of our courses. 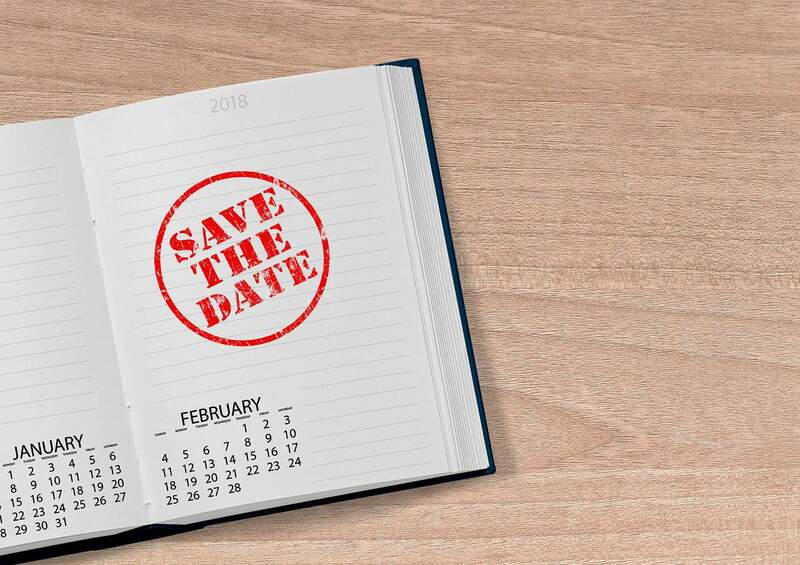 Can I reschedule my course date? 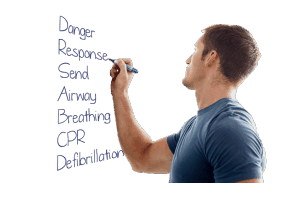 We are here to help you learn and first aid is a practical skill, No one is saved in first aid by good spelling. Our trainers are extremely experienced and will work with you until we are satisfied that you are able to satisfy in all aspects of the course. Once I’ve completed a first aid course is that it? Your Provide First Aid should be refreshed every 3 years, again, we will send email and sms reminders for you. Yes, we think there should be more public AED’s available. We sell a range of defibrillators and can give you national training and support to help you. We have significant experience working with defibs for more than 30 years. Our focus at International Paramedic College is in training and support, not sales, this simply means that we can give expert advice on defibs not based on “profits or a particular brand or product” but based on genuine knowledge and understanding by discussing with you your particular needs. Your prices for first aid training seem cheap Why? To be honest, there are cheaper like everything in life if you hunt around long enough you will find someone cheaper but in the end, we think of it like this. If we just took your money and didn’t give you anything for it, then when you need real skills in an emergency such as with your family or friends and you don’t know what to do, we have not done our job well. We believe you can have competence and confidence, not just compliance and we do that at comparable prices. We get a lot of people saying nice things about our courses and you can read that here or on Google or Facebook. Price is what you pay and value is what you get and in the finish, I was born and raised in this area so I want to walk through the supermarket and not have to dodge someone. That is why you give quality at the best price and of course, you sleep better at night. I need to cancel my booking, can I get a refund? Course transfer or refunds are not available to students who “fail to show” for the class or who do not give the required notice. I can’t find my first aid or CPR certificate Can I get a new one? Check your email and spam mail first and contact us. We can provide another emailed copy of your certificate. We do not routinely post out certificates but they can be provided on request for an additional cost of $10 to cover postage and printing. The electronic copy can be verified online and does not unnecessarily consume further environmental resources like printing and posting hard copies of certificates does. Do you sell first aid kits and supplies? Yes, we have a range of innovative first aid kits and supplies. From the CAT tourniquet and the emergency bandages in our shark attack pack to our 25 essentials first aid kit or the Setopress bandage for snake bite. Training is our thing, so we will also train you how to use these products. 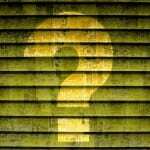 How can I keep my skills refreshed or updated as changes occur? You can use our Utube Channel our Facebook page or our News Page to keep updated or find out more information. Do you run courses for mothers groups or new mums and parents? Yes, we do this regularly and really as we feel it is an important service. Contact us and we will come to your place and help you out or look at our page about special courses for mothers and parents groups. As a student of International Paramedic College where can I get more information? 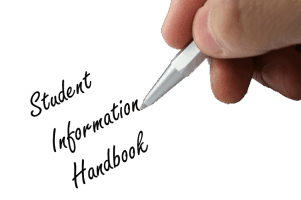 Our student handbook provides information on all aspects of a student’s interaction with us. You can access the student handbook here. International Paramedic College understands its obligation to protect the rights of students and is committed to managing and responding to allegations involving the conduct of our marketing, administration and training and assessment processes, trainers, assessors or other staff or students and third parties who deliver or market or recruit on our behalf. All complaints and Appeals will be treated as an opportunity for improvement and will contribute to our Quality Assurance systems. We also understand our obligation to manage requests for a review of decisions, including assessment decisions made by ourselves or a third party providing services on our behalf. International Paramedic College will ensure that the Complaints and Appeals Process is accessible, transparent, fair and equitable and that any complaint or appeal is treated in a timely manner as follows. Students are informed of the Complaints and Appeals Process on our website and in our Student Handbook. I have had a bad emotional experience after treating someone before who can I talk too? You may have had a traumatic experience or training can sometimes trigger strong reflective experiences to past traumatic experiences. Realise and reach out for help. We are not a counselling service nor do we pretend to have all the answers but if you need someone to talk to please call us if you would like to on 0413244994. The following lists are commonly expressed signs of distress. They are not meant to be comprehensive or diagnostic but rather helping us to recognise things within ourselves or others. Some may be due to reactions to a specific event a specific cause, while others may result from long-term factors. Where can I find out the specific assessment requirements for your courses? First aid online courses cannot be fully completed, you are required to attend for practical assessment, they cannot be completed online as skills must be observed by your trainer. You can read the full assessment standards set by the vocational education regulator for each course by following the appropriate link to the course that interests you. How old do I have to be to complete your courses? If you are under 18 you will need a parental consent form signed and brought along to your first aid or CPR course. Please contact us to discuss age requirements for other courses. First aid courses, CPR courses, Childcare first aid courses , Alstonville, Ballina or Lismore.